More Muslim Americans are running for office — national and local, including school boards and city councils — in 2018 than ever seen since the 9/11 attacks, the Associated Press reports. Between the lines: They were prompted by "the anti-Muslim policies and rhetoric of President Donald Trump and his supporters," per the AP, and continue to face anti-Muslim rhetoric and backlash in their campaigns. Around 90 Muslim Americans were running for office in 2018. After primaries, that number is now closer to 50, which still "far exceeds the dozen or so that ran in 2016." 18 are still in the running for state legislature. 10 others are vying for offices like mayor or governor, and localized offices like city council. At least three Muslim Americans are running nationwide campaigns. U.S. Senate candidate in Arizona, Deedra Abboud, told the AP of the hateful rhetoric she's faced: "We can't ignore it or pretend like it's a fringe element anymore. We have to let the ugly face show so that we can decide if that is us." There are seven Muslim Americans on the ballot in Michigan; Abdul El-Sayed could become the first Muslim governor in U.S. history. The AP reports that he "continues to face unfounded claims from a GOP rival that he has ties to the controversial Muslim Brotherhood," despite politicians across the spectrum denouncing them. Regina Mustafa, candidate for mayor in Rochester, Minnesota, has seen at least two instances of anti-Muslim threats being posted on her social media. Abboud, in Arizona, "received a torrent of Islamaphobic attacks on Facebook" a year ago. 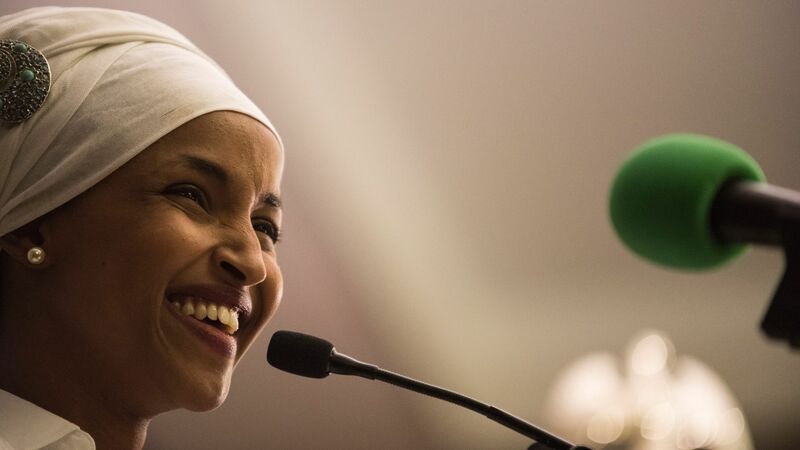 Two Muslim Democratic candidates are hoping to replace Rep. Keith Ellison — the first Muslim congressman in the U.S. — as he turns towards state attorney general, the AP reports: the U.S.' first Somali-American state lawmaker, Ilhan Omar, and Somali-American activist Jamal Abdulahi. Former state Rep. Rashida Tlaib is running to replace Rep. John Conyers in Michigan, and has out-raised her Democratic rivals. Fayrouz Saad, a Democrat and former Obama administration official, is running for Rep. David Trott's seat in Michigan. Omar Qudrat, a Republican candidate for Congress from San Diego, is facing off against Democrat Rep. Scott Peters.